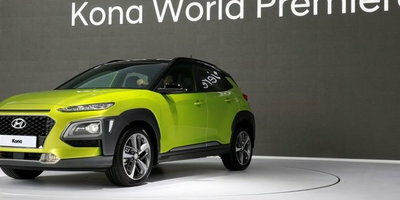 Newest Hyundai crossover model will slot below the Tucson and compete in the crowded subcompact SUV segment. 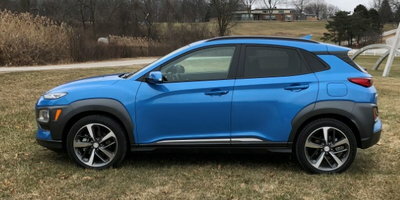 With a history of bringing small, affordable vehicles to market, it seems logical that the subcompact crossover segment would be a perfect fit for Hyundai. Once home to just the Buick Encore, Chevrolet Trax, and Nissan Juke, buyers can now choose from those plus the Honda HR-V, Jeep Renegade, Mazda CX-3, Nissan Rogue Sport, Subaru Crosstrek, Fiat 500X, Toyota C-HR, and Mini Cooper Countryman. 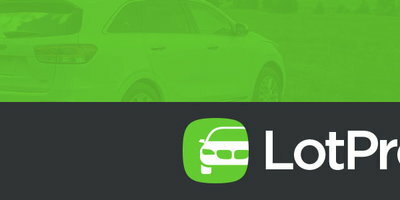 Even Ford has announced that it will be bringing the EcoSport –sold in Europe, Asia, South America, and even Canada since 2004 – to the US later this year as a 2018 model. So where has Hyundai been while all this was happening? As it turns out, right around the corner. 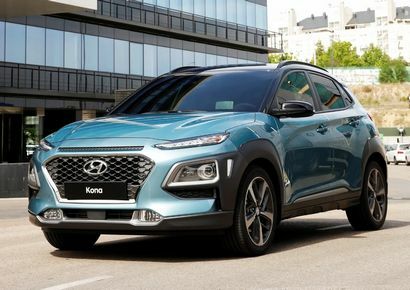 On June 12th in Seoul Korea, Hyundai unveiled its contender in the segment, the 2018 Kona. 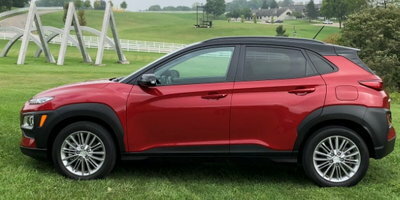 The 2018 Hyundai Kona, the brand's first subcompact crossover, is based on an entirely new platform not shared with any current Hyundai vehicle. 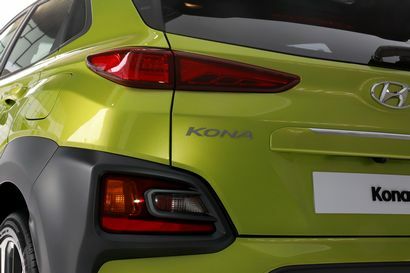 The name "Kona" comes from a coastal region on the Big Island of Hawaii and, according to the manufacturer, like the Tucson and Santa Fe, follows Hyundai's convention of naming its crossover and SUV models "after acclaimed travel destinations." When it comes to the US in the first quarter of 2018, the Kona will be available in either front- or all-wheel drive configurations. Both drivetrains will feature a MacPherson strut front suspension, while FWD models get a torsion beam and AWD models will feature a dual-arm, multi-link setup in back. 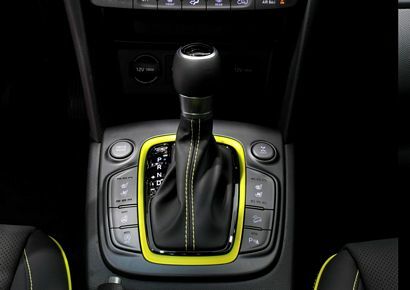 Here in the US, the base engine will be a 147 horsepower, Atkinson-cycle, 2.0-liter four-cylinder engine paired with a six-speed automatic transmission, while a 175 horsepower, turbocharged, direct injection 1.6-liter four-cylinder engine mated to a seven-speed dual-clutch automatic will be offered as an option. Both combinations will feature three driving modes (Eco, normal, Sports). 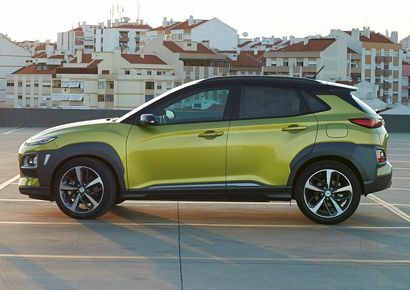 The Kona's butched-up styling cues reflect the current trend in the small crossover class. The aggressive look begins up front, where LED daytime running lights occupy narrow, horizontal slits at the top edge of the fascia. The headlights, meanwhile, are ensconced in a pair of pods located just below the DRLs. 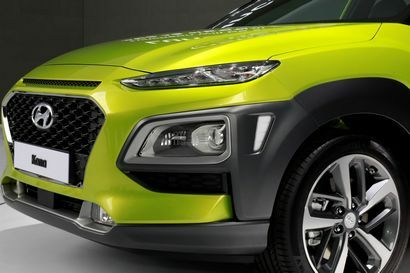 They flank a version of Hyundai's signature hexagonal mesh "Cascading Grille." 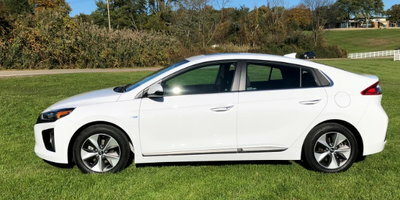 The body sides are dominated by generous amounts of cladding (Hyundai refers to it as "armor") that begins at the lower front fascia, sweeps over the front wheel wells, continues along the lower side sills, and sweeps up over the rear wheel wells. In back, the cladding not only continues around the lower valance, it also surrounds a pair of brake/backup lights/rear reflector combination lenses. The actual taillights – thin and horizontal, repeating the theme from the DRLs - are set higher up and just below the rear window. Inside, the dash is a bit more traditional. Driver instrumentation consists of two large, round dials – a tach to the left, the speedo to the right, and a TFT display between them. 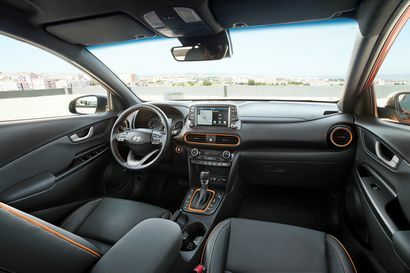 The central instrument cluster consists of two vents and HVAC controls on the lower dash, while a large color touchscreen mounts atop the dash – much like Mazda's setup, although, in this case, the screen is flanked by redundant control buttons and knobs for the infotainment system. 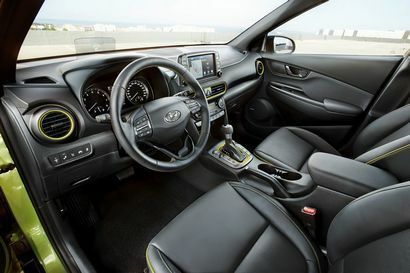 The trim rings that surround the outboard dash vents, central dash vents and shifter trim panel are, at least for one trim level, color-keyed to match the exterior paint finish. The split and fold rear seats fold flat, while "a two-level loading floor that allows easy access for a bicycle or golf club storage." 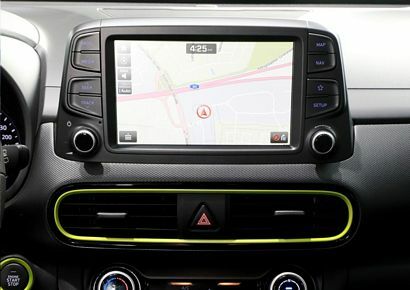 A rear view camera is standard, while available active safety features include forward collision warning, automatic emergency braking, automatic high beams, lane keep assist, Driver Attention Warning (that detects driver fatigue or careless driving), blind spot warning, and rear cross-traffic alert. 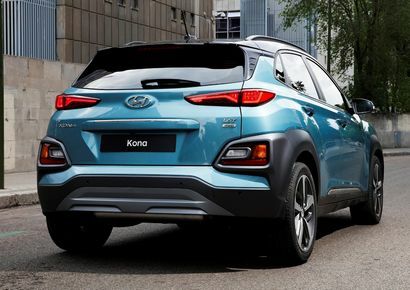 The Kona goes on sale in Korea later this month, followed by North America. Pricing and further details, we assume, will be released closer to its on-sale date.